June 6 is our second day at Lake Yamanaka, and we are finalizing our presentations that we will be delivering to the Meiji students. In these presentations, we will be displaying what we are researching and what its significance is to globalization. Some of us were nervous, but we all felt confident in our research material. We have definitely been having fun in Japan, but we never lost sight of being a critical tourist. These presentations would show the Meiji students that we have developed insightful topics and have analyzed them in thought provoking and insightful ways. 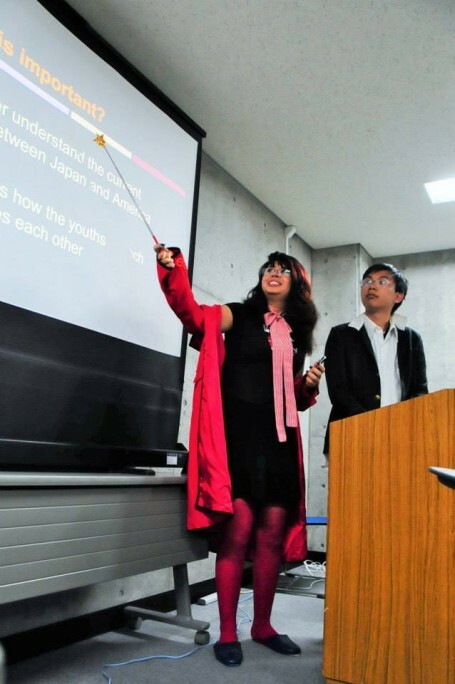 For me personally, I used this presentation to work on my essay as well as presenting to the Meiji students. I organized my slides in that they would flow in a similar manner as my essay. By organizing my slides like this, I know exactly what I will be looking for in my time at Japan. Before my presentation, many of my classmates gave fascinating presentations about their diverse and deep research topics. It is clear that we are all passionate in the topics that we have chosen. One topic that struck me was the status of Zainichi Koreans in Japan. Prior to my trip to Japan, I was not aware of the discrimination that this minority faces in Japan, both legally and socially. My classmate, who has been researching on this topic, presented the material in a manner that made me critically analyze Japan and its role in dealing with minority groups. Japan is not very different from the United States. Both appreciate minority groups to a certain extent yet discriminate against them through social and legal manners. By showing the similarities between the two cultures, it gave the Meiji and the USC students a more tangible way of expressing the heavy burdens facing this community. 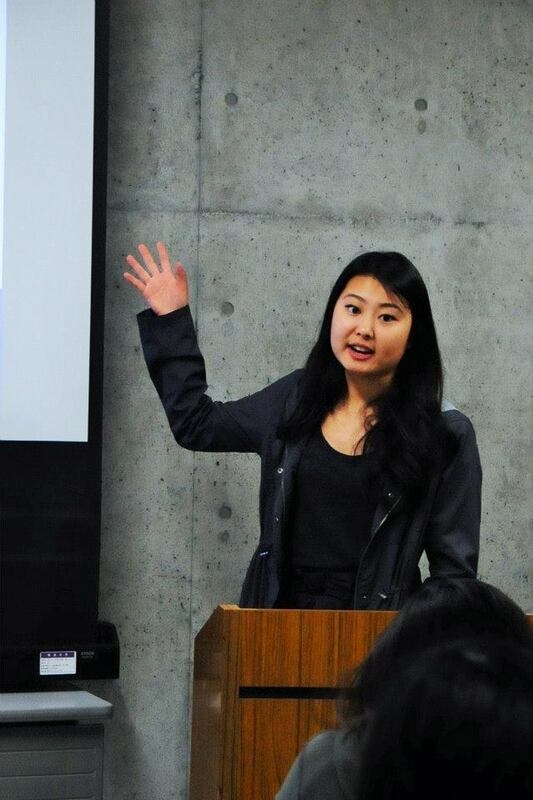 USC student Joyce Lee speaking about Koreans in Japanese society. This tied into my research project as well. In Japan, the English education is sub-par at best, and countries like China and Korea are vastly outperforming them in terms of speaking and listening in English. This compares to the education crisis in the Unites States. Right now, funding is being cut in education, and more focus is spent on testing the students rather than engaging them in the course material. There is a similar state of education in Japan. Although I am not entirely sure of the testing culture in the Japanese public education system, strong parallels can be made of the other aspects between the Japanese and American systems. This reminds me of a concept that was presented to us on the first day of the course. In The Lady and the Monk, Iyer explains that perceptions of other cultures are subjective; this means that the same criticisms that can be made to other societies can also be made to one’s own. After listening to all the presentations today and reflecting on my own topic, I have come to realize that there are significant weaknesses in both Japan and America in terms of education. The roots of the problem are, in my opinion, similar. For the remainder of my time in Japan, I am going to take Iyer’s concept into mind and try to make comparisons and contrasts between Japan and the United States. USC students Andi Munoz and Steve Nguyen enthusiastically presenting about anime in Japanese culture, all while cosplaying in their favorite characters.